The widening of Shahrah-e-Ibne-e-Sina and the expansion of drains is due to be finished by the end of May as per the Karachi Metropolitan Corporation (KMC). The widening and the expansion of drains alongside the major roads of District Central is also an important part of the development work that is in progress. 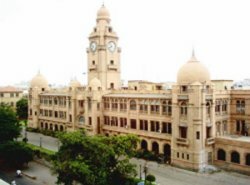 According to Muhammad Hussain Syed, the Administrator KMC, more than half of the work has either been completed or is near completion whereas the rest of it will be wrapped up till the end of May. The KMC, which is spending more than Rs 200 million on these development works, is hopeful that once the work is finished, it will significantly improve the flow of traffic in the area. Traffic jams on the Shahrah-e-Ibne-e-Sina have been a major problem. The expansion of three-lane road into a five-lane highway will give the commuters a much needed, albeit momentarily, relief from traffic jams. Another project that is underway is that of the widening the road which connects Shafiq Mor with Godhra Camp. This project will incur a cost of Rs 10 million. This amount will also cover the cost of the linking and adjoining roads which are yet to be constructed. The work on road between Ziauddine Hospotal to KDA Chowrangi is also coming along steadily. For this and other roads in shallow areas, drains are being widened to cope with the issue of overflow during the rainy season. The total cost of this project is estimated to be Rs 120 million and will be finished by August. As per Hussain, the work on the other projects will begin as soon as the development works which are underway are completed.